You may recall a public consultation held in August to assist with development of a walking and cycling plan for Clarkston, Stamperland and Busby. I have the pleasure to share the final draft of the delivery plan (along with supporting appendices). This can be accessed via the East Renfrewshire Council Clarkston Town Centre page and will be publicised this weekend to the Clarkston Your Town Facebook page. 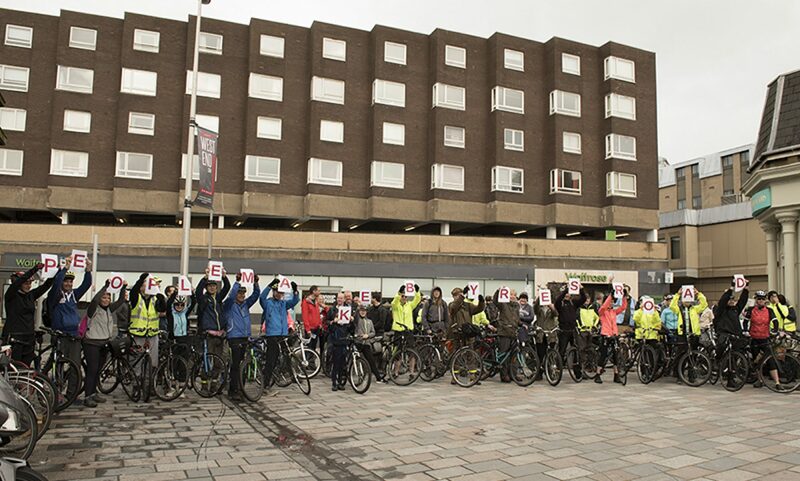 The Active Travel Network Delivery Plan was developed by East Renfrewshire Council and AECOM in response to a series of workshops held last year with residents and businesses as part of the Council’s Clarkston: Your Town initiative. The plan highlights local priorities to improve walking and cycling provision, as well as major projects to improve accessibility in key areas. As well as outlining short and long term actions that may be considered so that walking and cycling is the natural choices for everyday journeys, the plan contributes to an ongoing conversation about the type of place Clarkston aspires to be. Over the next few months East Renfrewshire Council will work with partners to develop detailed designs for some of the proposals identified within the plan, specifically improving local routes and enhancements to the Netherlee pavilion public realm. Furthermore, East Renfrewshire Council will look to establish a framework through which local people can help shape future plans supported by an ongoing programme of data gathering. A pilot scheme in Clarkston to create more public space, with the introduction of ‘parklets’ and traffic reduced to a single lane along Busby Rd, is planned for Spring 2018 as part of ongoing Clarkston town centre improvement works. This will provide important insight into possible future options for Clarkston town centre. If you have any questions regarding the plan please do not hesitate to get in touch. Also, please feel free to circulate this to anyone else you think may be interested in proposals. Previous PostPrevious Yoker to Knightswood, route to BMX park, part 2, Shared Footway section proposals. Next PostNext 20mph needs you!